Good and godly men disagree over this question: To whom is the sacrament of baptism properly administered? Those who hold to the credo-baptist position (i.e., only repentant adults may be baptized) defend their position in a relatively simple manner by pointing to examples of adult baptism in the NT. Those who hold to the oiko-baptist position (i.e., entire households with one believing parent may be baptized) defend their position in a more complicated manner by explaining God’s administration of the Covenant of Grace in both the OT and NT. Below are some resources that our credo-baptist members have found helpful in the past. We do not ask them to agree with our position, but we do ask them to understand it. Debate Between Shishko and White – A two hour debate in which two scripture-loving ministers challenge each other to be consistent in their position. This is a must listen debate. A Better Case for Infant Baptism – An follow-up article written by Rev. Shisko after debating the matter with Pastor White. Infant Baptism: A Duty of God’s People – This substantive article, written by Dr. Kenneth Gentry, demonstrates the biblical basis for household baptism. Contemporary Reformed Defense – An article by R. Scott Clark which explains how God administers his Covenant of Grace. 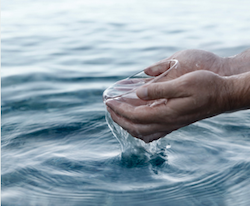 A Conversation Concerning Baptism – This may be helpful to those who find it difficult to follow the logical argumentation of the other resources listed here. Should we Just Agree to Disagree? – This articles says, “No” and argues for honesty in our continued disagreement over this central doctrine. Baptist Objections Answered – This is one part of a series of lectures given by Dr. Kim Riddlebarger (who was once credo-baptist) in which he answers common objections to our position.